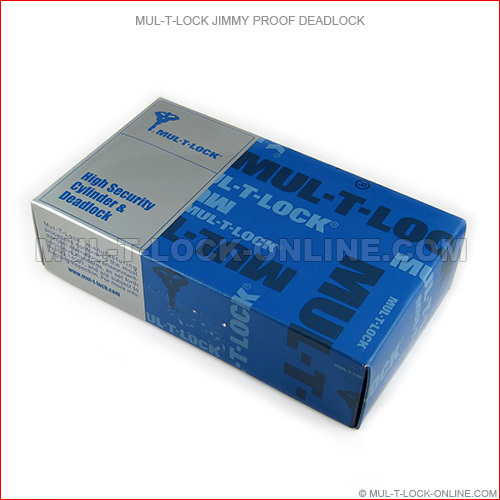 MUL-T-LOCK's Jimmy Proof Lock gives the user flexible surface mounted deadlock protection. 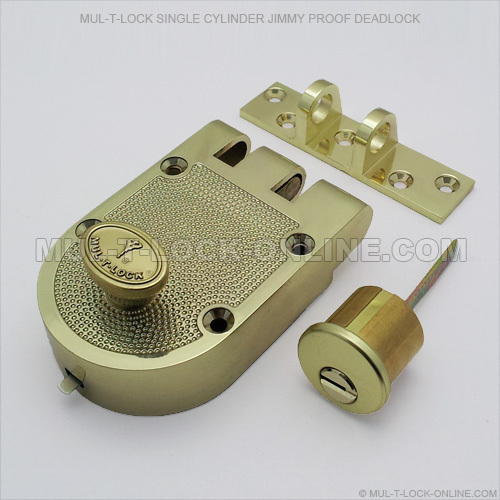 Combined together with a MUL-T-LOCK Rim Cylinder this deadlock can be supplied either in Single Cylinder configuration with a Thumbturn on the inside or in Double Cylinder Configuration. 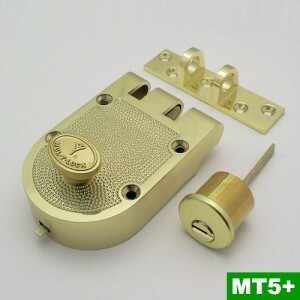 * Top Guard available in satin brass and satin chrome finishes only.